Have you tried working on a very important documents then suddenly your computer bogs down and isn't cooperating any more? That would surely cause a lot of stress and troubles! I should have known this as this was my experience with my pc at home! Considering the fact that the computer has its own System Tools that promised to help you in times of need, it just don't really work! Well, I really don't know if you have the same experience as mine. I've tried to download free anti-virus software hoping that it could help the situation but as soon as it expires and needs to be updated (with a cost), the problem didn't stop. The system was designed for Microsoft Windows 95/98/ME/NT/XP/2000/2003/Vista x32, Vista x64, Windows 7 installed and configured on your system. 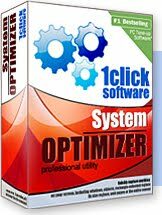 Get it for only $39.99 (previously $78.59) and this includes Software key e-mailed to unlock free trial for immediate use; Life-time license; Life-time support and Free upgrades. Wanna try it? Visit their site for a free scan!